A Look Inside the Grind at Ignition: IGNITION JOINS SPONSORS TO HOST THE MARVIN LEWIS CAMP IN JUNE! 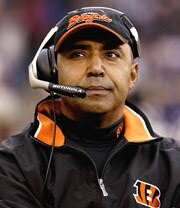 IGNITION JOINS SPONSORS TO HOST THE MARVIN LEWIS CAMP IN JUNE! IGNITION will be on site to train these athletes through an explosive workout - teaching athletes the training methods to improve speed, strength, and agility. For camp details contact PRO CAMPS at 1-888-389-2267! Limited spots available for this great opportunity to learn from NFL Coach Marvin Lewis and one of the Nation's Top Training Facility, IGNITION. IGNITION launches NBA Pre Draft Prep Program!